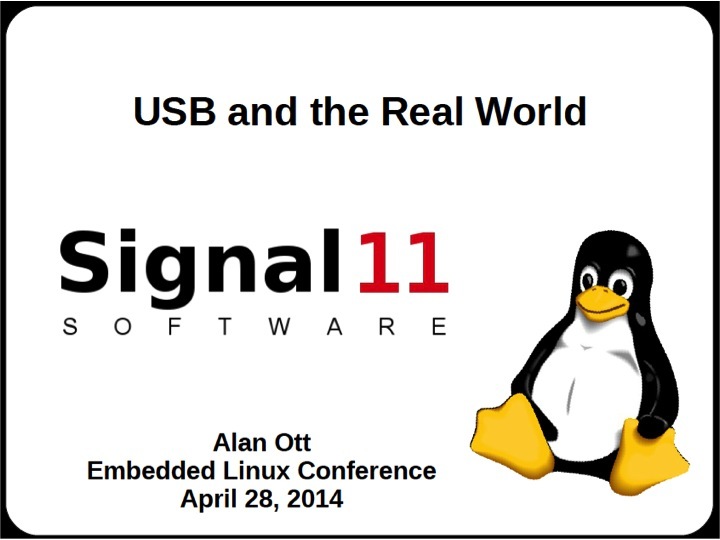 The Beagle USB 480 Power analyzer was featured recently in Alan Ott's USB presentation at the Embedded Linux Conference this year. Alan is the "chief bit-banger" at Signal 11 Software, a small software development and consulting services company specializing in Linux and Microchip PIC embedded systems, and much more. In his presentation, Alan gives a very informative look at USB and shows how the Beagle USB analyzer can be used to examine latency between USB packets, and how how that data can help optimize your application's performance. Take a look at the presentation and let us know if you'll be using USB, Linux, or the Beagle analyzer in your next application! We would love to hear your story. 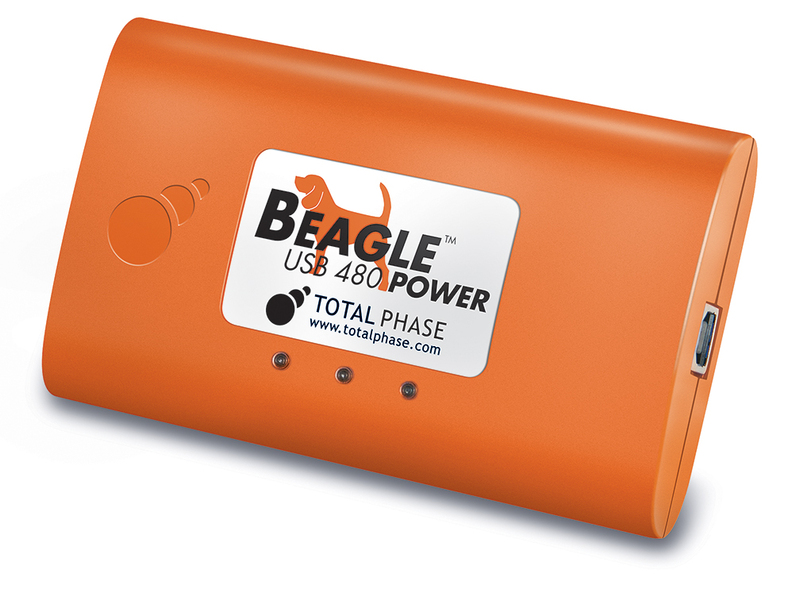 As mentioned above, the Beagle USB 480 Power analyzer packs quite a punch into a pocket-sized form factor. It monitors low-, full-, and high-speed USB 2.0 traffic, decodes most major USB classes, and monitors the current and voltage of the VBUS line, all in real-time. 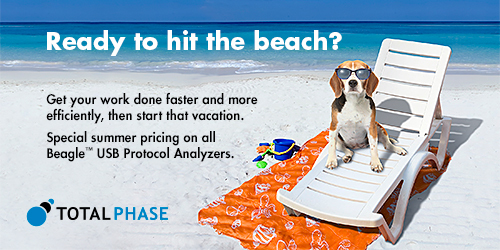 Please feel free to take a look at our entire USB analyzer line and take advantage of our Beagle summer promotion below! For more information, please visit the promotion page. The analyzer saved weeks of effort; it was awesomely powerful and easy to use.